It’s not that the city that clearly does not care much about radiation safety (cesium beef for kids, dumping radioactive ashes in the ocean) did the measurement on its own. 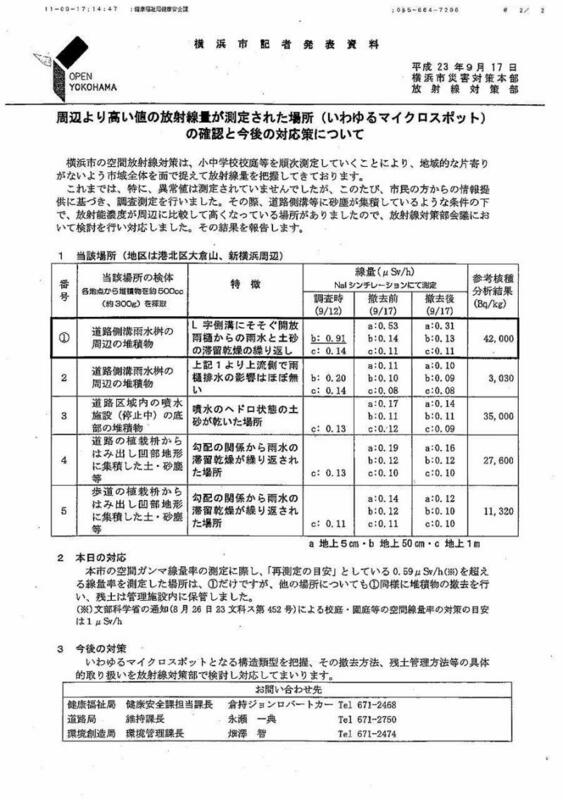 A citizen measured the radiation in the area, got the sample and had it tested using his own money, and alerted the city when the result came in. By the way, Assemblyman Ota suggests that Mayor Hayashi is known within the city administration as someone who doesn’t think on her own (i.e. she relies on others in any decision making). That makes sense. That’s been the ideal for the head of any organization in peace time in Japan, to be the figurehead. Literally deadly in the time of crisis like this.